The Wings of Life is the hallway that links the Acute wing and the Residential wing of the Kitty Askins Hospice Center. 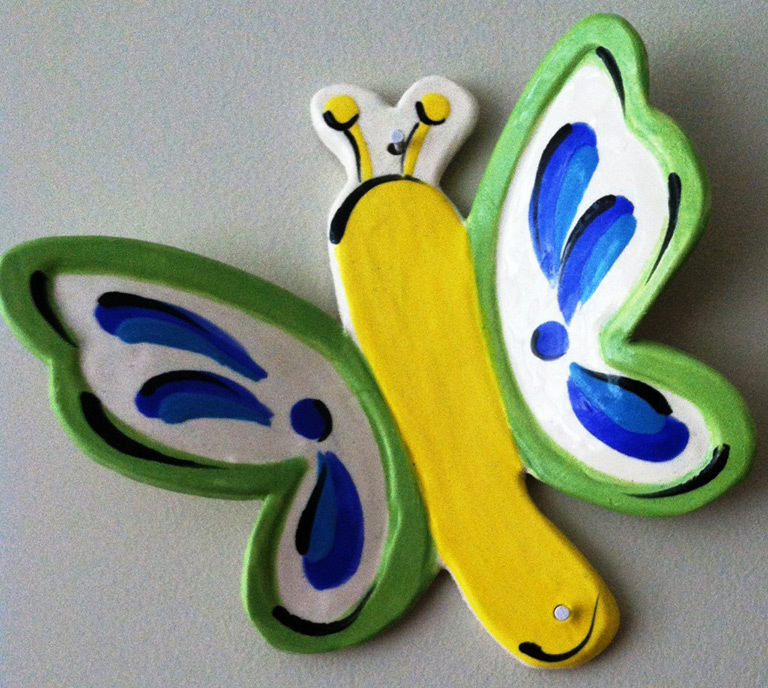 The hallway consists of beautifully hand-made, ceramic butterflies. 3HC is pleased to offer an opportunity for you to honor your loved one through the dedication of a butterfly. Each butterfly will be a permanent legacy on the Wings of Life and will include the name of the individual being remembered, or honored. We are asking for a minimum donation of $1,000 for each butterfly, a donation that will help meet the needs of hospice patients at the Kitty Askins Hospice Center and throughout eastern NC. Butterflies are made throughout the year with a Dedication Ceremony to follow. You will receive an invitation to the Ceremony taking place closest to the completion of your butterfly.